Today a few academics have been quick to note that Richard Rorty, in his 1998 book, Achieving Our Country, predicted (or warned of) the kind of election we had yesterday. At that point, something will crack. The nonsuburban electorate will decide that the system has failed and start looking around for a strongman to vote for—someone willing to assure them that, once he is elected, the smug bureaucrats, tricky lawyers, overpaid bond salesmen, and postmodernist professors will no longer be calling the shots. A scenario like that of Sinclair Lewis’ novel ‘It Can’t Happen Here’ may then be played out. For once a strongman takes office, nobody can predict what will happen. In 1932, most of the predictions made about what would happen if Hindenburg named Hitler chancellor were wildly overoptimistic. One thing that is very likely to happen is that the gains made in the past forty years by black and brown Americans, and by homosexuals, will be wiped out. Jocular contempt for women will come back into fashion. While some have taken from yesterday’s election that smug name-calling by academics may not be in our national best interest, others, including respected Stanford scientists, see Rorty’s warning as vindication for their disdain for the nonsuburban electorate. Rorty’s words deserve press, but his evolving position on patriotism and suburban values should be noted here. What would Rorty have said about the media-fueled doctrine that suburban whites are embracing fascism, or the Times’ list of six books to help New Yorkers understand conservative white trash? Rorty refined his position considerably on the topic of traditional values in the last eight years of his life, ultimately embracing the idea that humans, particularly Americans, had made significant and irreversible moral progress, a subject he debated for years with Richard Posner. Rorty died an optimist. Many in Washington viewed him as a dangerous atheist leftist. 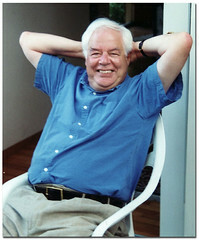 But Rorty was a unique thinker who defied classification. He was an atheist who vigorously defended Christianity. A very curious relativist, he argued, against Posner, that we’ve made moral progress (i.e., that 40 years of progress by blacks, browns, and homosexuals won’t be easily lost) and against Kuhn, that scientific progress is possible. Deeply influenced by Kuhn, Rorty called himself a Kuhnian, while Kuhn sternly admonished all who called Kuhn a Kuhnian. Rorty is not easily characterized by snippets. As Kuhn is mostly misappropriated, it appears Rorty may now be as well.